I’m a big fan of adding a special or personalized touch to store bought greeting cards. Sometimes I’ll add a little glitter, or maybe doodle on the outside of the envelope – just to give it that pink chai touch! So when I heard about this technique for lining envelopes with speciality paper, I knew it was something I had to try. Thankfully my friend Vaishali knows a thing or two about cards! From Christmas cards to wedding stationery, a lining is a delightful and playful way to add a hint of luxury. Here at Ananya, we love to add a finishing touch to our designs by creating coordinated linings for our envelopes. This can be anything from gold foil to bespoke patterns to coordinate with a specific design. It may be a fun project to do yourself or if you have less time on your hands, why not ask us when you make your next order! A selection of lining paper – always select a lightweight paper (80-100gsm) – preferably the same or less than your envelope. Gift wrap, scrap-booking paper or deco-patch paper works well. Avoid anything that will add too much bulk to your envelope. Glue – An extra strength glue stick will work well. Avoid anything too wet as the paper will warp. A clean surface to work on! Start off by creating a rough paper template. Measure the width of your envelope and cut to size. Then measure from the base of the envelope to the gum line and cut to size again. Pop the template into the envelope to check it fits and to create the stop section. 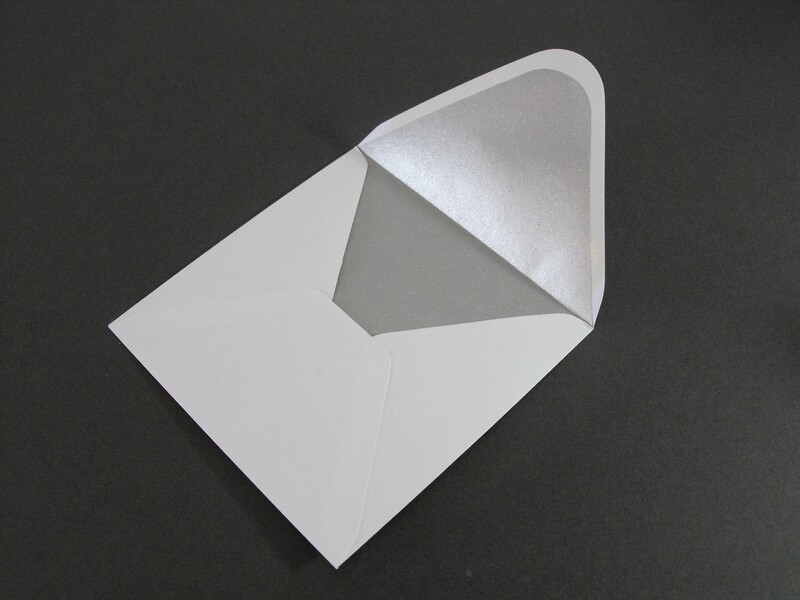 Fold the paper from the top of the envelope down the gum line to create the flap. Working from the top of the envelop flap will help to achieve a point. *TOP TIP* Make sure your template is just over the gum line. This will help to get a better finish if the lining moves when you attach it. 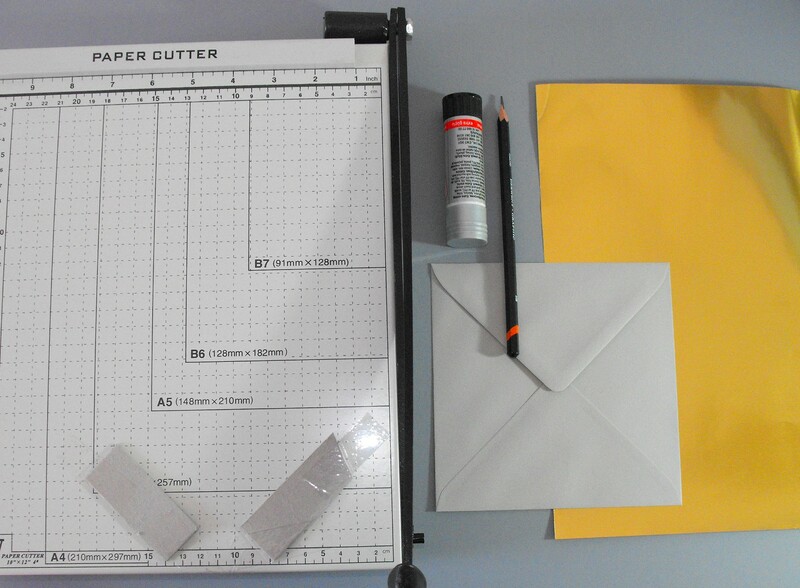 Attach cardboard guides to your cutter that fit to your template. This way you can cut multiple sheets at a time. When your guides are set up, measure out your lining paper in the same way and cut to size. Pop the lining inside the envelope. Fold the flap down to get the fold line. Then you are ready to glue it in place. 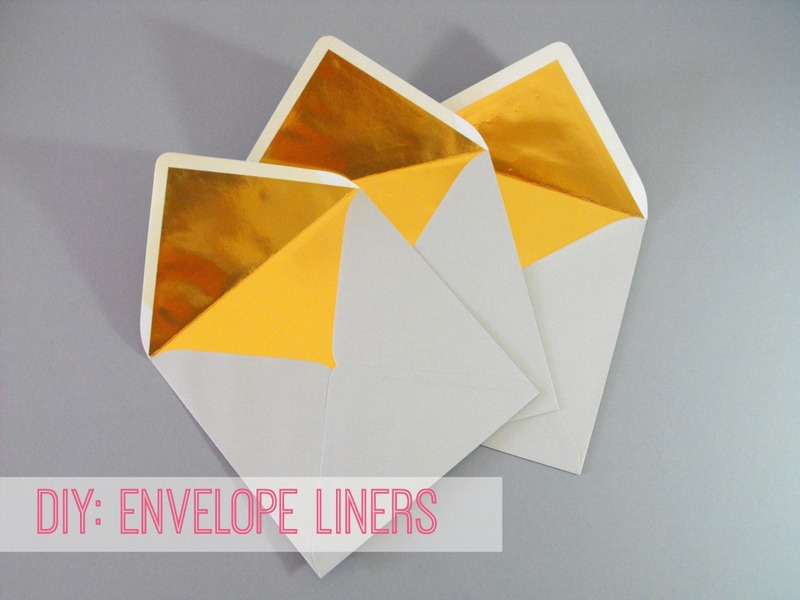 Use a sheet of paper to protect the rest of the envelope while you glue. You only need to apply glue to the flap area of the lining so that there is room for a little movement when it opens and closes. *TOP TIP* Make sure the glue is smooth and doesn’t have any lumps! As the paper is light weight these will show through and spoil the finish of the envelope. Gently press the paper down from the folding crease out to the edge of the flap to avoid any creasing. You could press these under something heavy to make sure the glue doesn’t create any paper warping. If the envelope has a curved flap like the image above, you can still use the cardboard guides to create the edges. 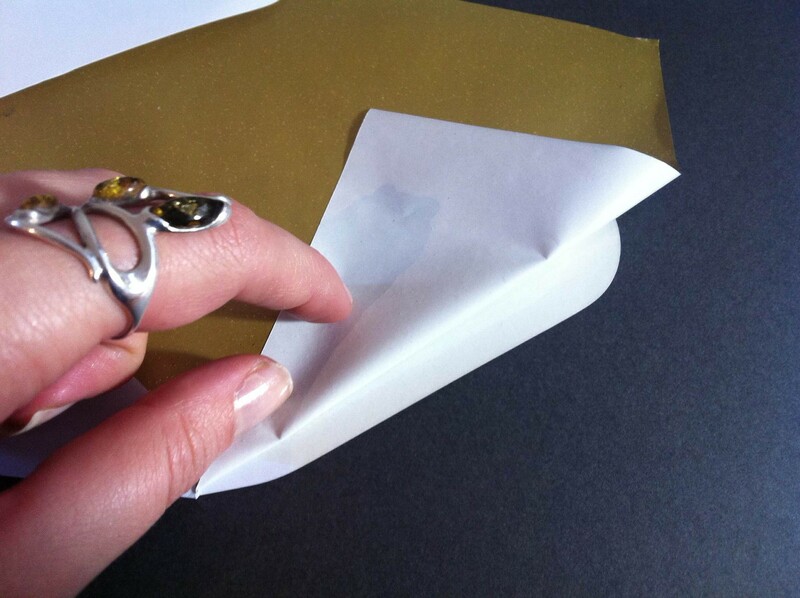 Then simply use the outside edge of your envelope as a template to draw the curve. This can then be cut out with scissors. And so you have your very own personalised envelopes! 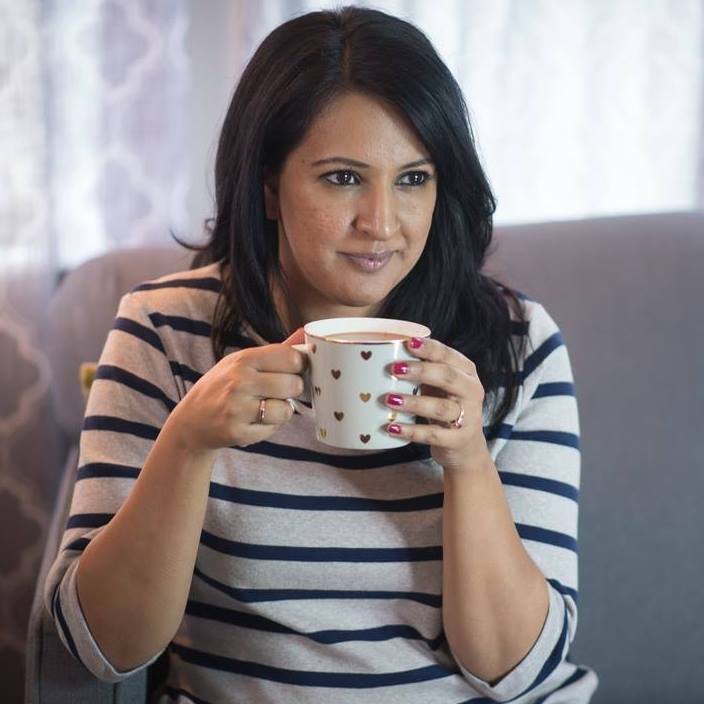 You can connect with Vaishali on Twitter or Facebook if you have any questions about this tutorial. Fabulous! I love the envelopes and paper gems! I have been looking for a self seal wallet envelopes that can be used several times.